This completely redesigned and expanded edition of World Book’s Encyclopedia of People and Places provides accurate and up-to-date information on the geography, economies, histories, and people of the world’s 194 independent nations in a colourful, lavishly illustrated new format. World Book’s Encyclopedia of People and Places provides accurate and up-to-date information on the geography, economies, histories, and people of the 194 independent nations of the world in a colorful, lavishly illustrated format. 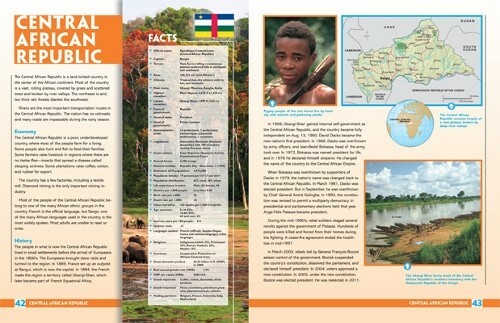 Such features as fact boxes, full-color maps, and a cumulative index make essential information accessible for students and other readers. 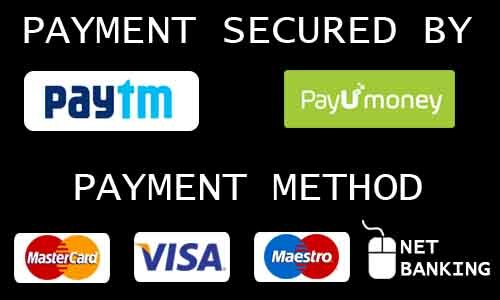 These elements also promote familiarity with reference sources. The A-Z organization of the set allows readers to locate each country with ease. The Encyclopedia of People and Places includes six country volumes, organized alphabetically. A fact box for each country includes that country’s flag, a locator globe, and key information on terrain, government, people, economy, and technology. In these volumes, readers will learn about how the nations of the world have grown and interacted over time. 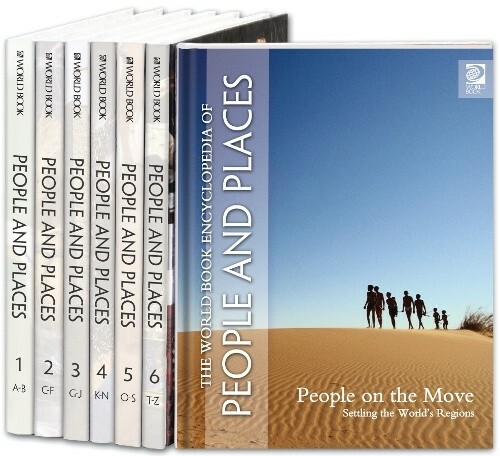 A seventh volume, People on the Move: Settling the Earth’s Regions focuses on the movement of populations around the globe throughout history. This volume combines information on geography with history and archaeology to create a picture of human populations around the world. Here, readers can find out about the extinction of the Neandertals, the development of civilizations, and many historic migrations. Additionally, thousands of full-color illustrations, maps, charts, and graphs capture students’ interests and help meet their educational needs. 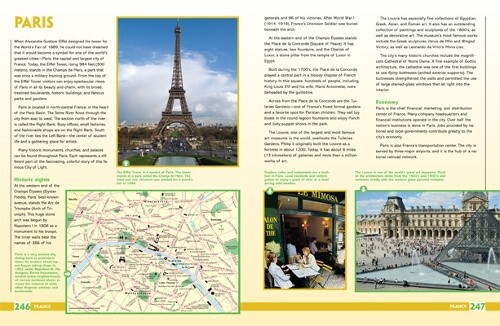 The set’s comprehensive information on geography is supported by award-winning maps.